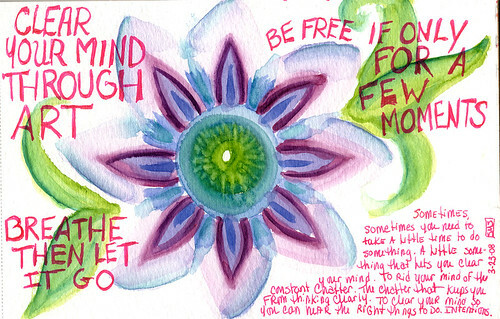 Clear Your Mind Through Art, originally uploaded by biffybeans. Breathe then let it go. Sometimes you need to take a little time to do something. A little something that lets you clear your mind. To rid your mind of the constand chatter. The chatter that keeps you from thinking clearly. to clear your mind so you can hear the right things to do.